This richly personal and intimate collection, 8 years in the gathering by Don Eulert, PhD, includes the works of international visionaries and spiritual pilgrims such as Starhawk, Gary Snyder, Melidoma Some, Ralph Metzner and many more. 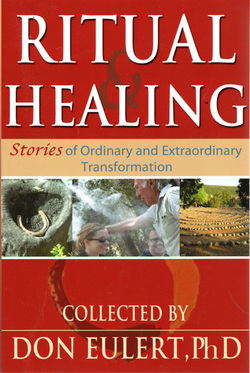 You can read excerpts and/or order through Ritual and Healing or order from your local independent bookseller. PLEASE SEE BELOW.